Edgy. Contemporary. Unique. Raw. 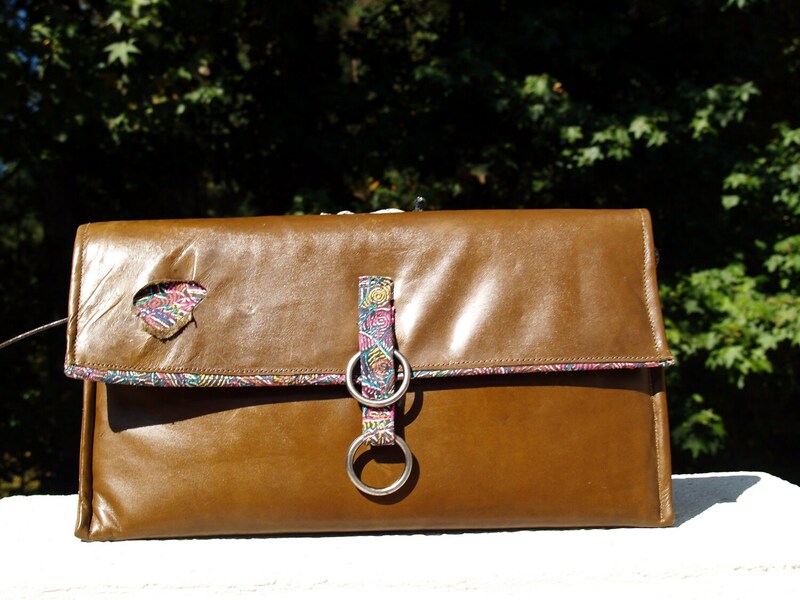 One of a kind clutch/envelope handbag made in a soft, distressed brown leather with a natural hole in the flap, preserving the natural elements of the leather skin. This natural element (hole) adds character and a funky edge to this piece - an exclamation point to it's uniqueness! Lined and piped in a heavy duty beautifully colored abstract fabric. One deep inside pocket and a magnet metal closure. A great addition to your handbag collection. Dimensions are 15" long, 8-1/4 height. Divinely inspired.